On this page we’ll share with you our favorite Lake Como recipes. Bellano is a small town on the eastern shore of this Italy lake that has always stimulated our curiosity. Bellano Italy is a really pleasant town in the middle of the Como lake. Just another one of the many pearls in Lake Como and among the most wonderful spots to visit in northern Italy! Bellano is positioned very close to Bellagio, so you will be able to benefit from the tranquillity of a smaller town, while still be within strolling distance of most necessary services. 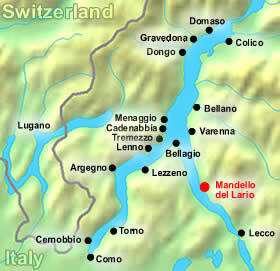 The town isn’t crazily touristed as near-by Varenna or Bellagio. However, you could get the casual tourist who had been sent here, when all of the resorts in Varenna or Bellagio are sold-out! And that is not always bad news, as you could have an extraordinary stay in this town. You will immediately notice some lovely, elaborate houses right on the lake and also a good ship-dock with a lengthy promenade. When your boat approaches the tranquil coastline of Bellano, take note of the many interesting, tall trees. You’ll also have no troubles locating a quiet seat beneath the trees that supply you with a splendid panoramic view of the western shorelines of the lake. The shade is an added bonus throughout the summertime! With a population of only 700, Cadenabbia and its nearby Griante has held its feeling of exclusivity over the ages, flashing its opulent villas, lavish gardens and stunning lake views into the eyes of tourists. Really…even royalty has dashed through the streets of Cadenabbia, people like Queen Victoria, Nicholas II of Russia and Pope Pio XI. Verdi and Stendhal also spent some time to writing their great works. Here’s where we are (red dot)…Watch the Lecco Italy Video! Let us recommend you some of our favorite Lake Como restaurants on this page. 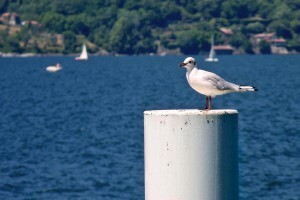 Read on for a brief introduction to dining in the Lake Como area or jump to our virtual tour.